Give yourself a little bit more room and enjoy a mini residence in The Avalon. 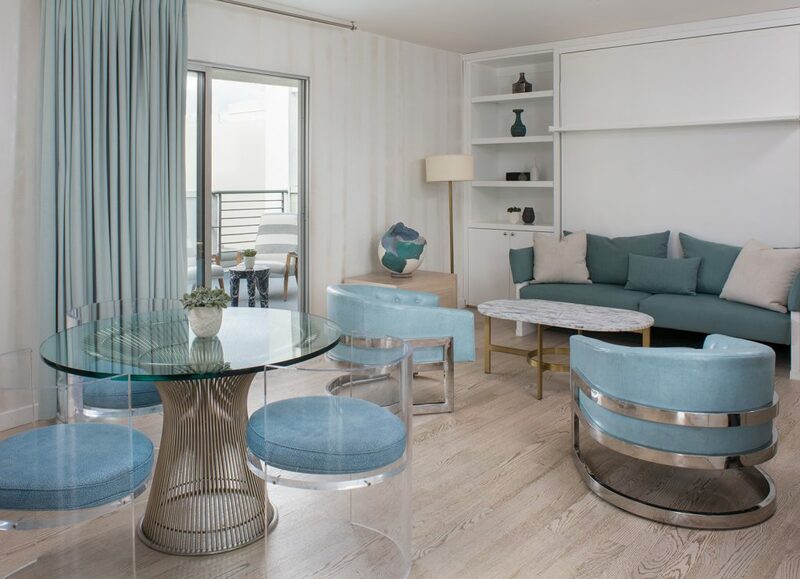 All of the furnishings in this room resemble a very upscale ’50s living space. Photo courtesy of The Avalon. Order in from your favorite Beverly Hills restaurant and enjoy your dinner at this chic table. 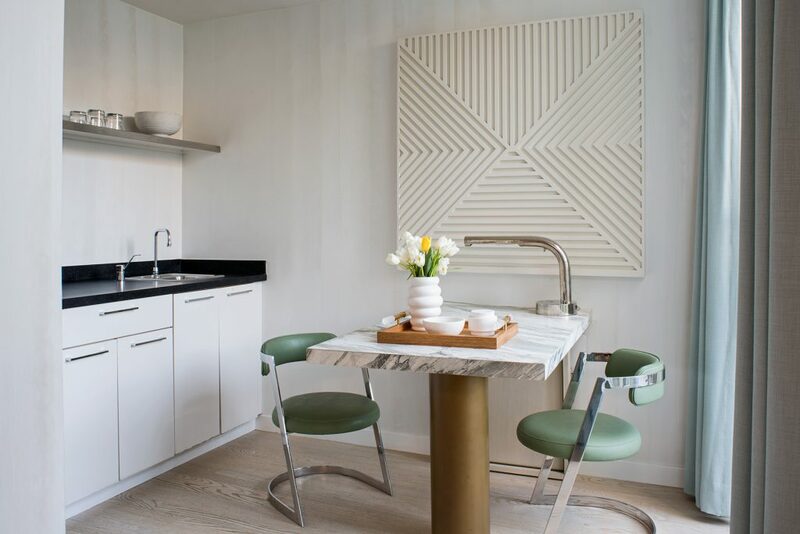 The marble countertops are the perfect pattern to match the sleek green chairs. Photo courtesy of The Avalon. You could spend years living in Los Angeles and never go to every destination the city has to offer. Whether you’re in town on business, or enjoying a trip to the state where summer never ends, the Beverly Hills area always has something going on. The Avalon is just a block away from Beverly Drive’s restaurants and shopping. Although you can always relax by the pool, try opting for the beach that’s only minutes away. If you’re looking to get away from the tourists, there are plenty of trendy coffee shops and vintage shops galore down Melrose Avenue. Whatever you’re looking to get from LA, The Avalon is the place to stay. For more information on booking a trip, go to avalon-hotel.com/beverly-hills, or call (310) 277-5221.